Rebecca served as Mistress of Ceremonies for the Arts 4 Peace gala luncheon at the USC Radisson. 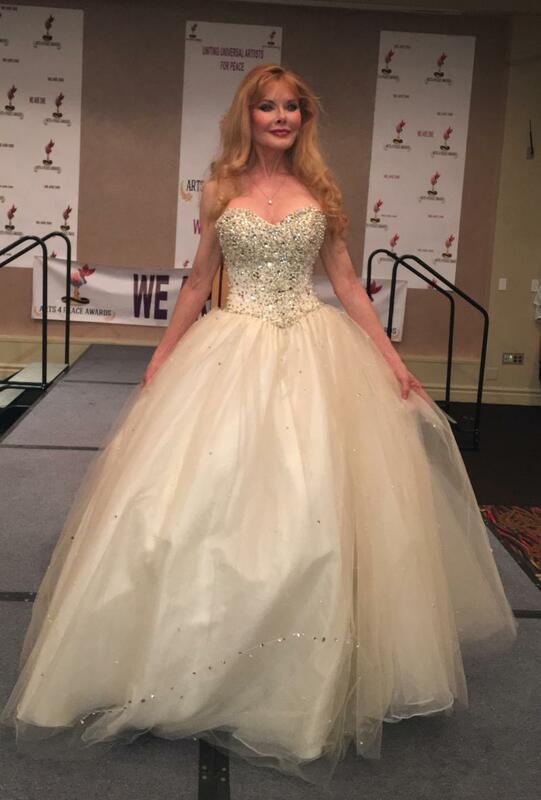 She also sang the national anthem, performed “Dreams Come True”, which was selected as the theme song, and modeled the pictured gown for the fashion show. In attendance were such dignitaries as keynote speaker, Dr. Frank Romano, PhD from the Sorbonnne in Paris, Dr. Hyepin Im, President of Korean Churches for Community Development, Dame Munni Irone, philanthropist & founder of A4P, and Dr. Marcia Coppertino, Director of U.S. Operations of Operation Doctors For Afghanistan.